Dontnod Entertainment is a game studio that has craved variety over the years. Their first game, Remember Me, was set in a dystopian future and featured melee combat and memory alteration. They bested this with Life is Strange, an episodic adventure about friendship and rewinding time. 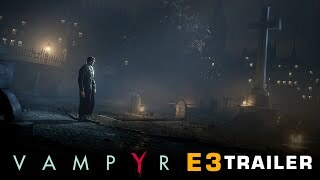 Vampyr is another tonal shift for the studio, set 100 years in the past, involving blood suckers and death. It could be seen as a blend of their last two games, due to an effective use of both conversations and melee combat in an open world. Set in London, 1918, it focuses on a Doctor who balances his thirst for blood against an oath to heal the sick in a city decimated by disease and occupied by horrors that lurk in the shadows. 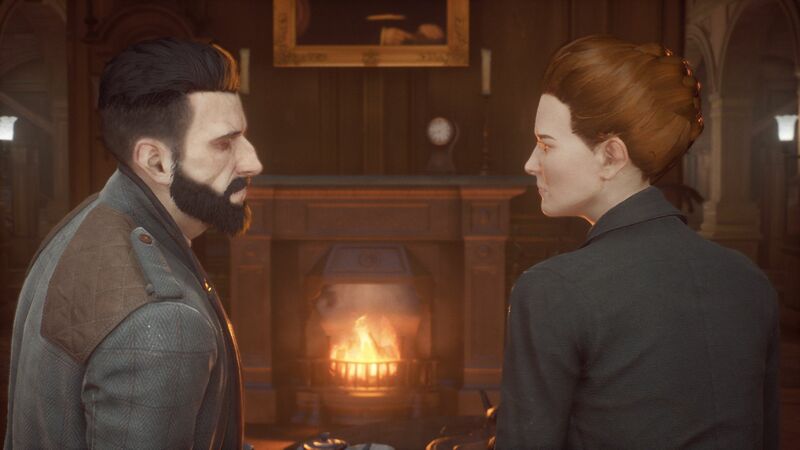 You play as Jonathan Reid, a renowned physician and blood transfusion expert, who gets turned into a vampire by an unknown being at the start of the game. Lost in a cloud of blood lust, you mortally wound your sister and are racked with the guilt of her death. This sets Dr Reid on a mission of revenge against the creature that turned him, all while trying to learn who or what he has become with the help of a mysterious lady vampire. The story will take players through the sewers, within people’s homes, across graveyards, and into a secret society as an epidemic threatens to take over the city. The gloomy and beautiful open city of London is your playground, but deranged vampires and monster hunters ensure that the streets are not safe for a newborn. To get through, you may have to fight or run. Fortunately not every area is hostile. Regular humans cluster together, like at the hospital, and you can help them or drink their blood to gain power. As you follow the story, you'll need to make big decisions about major characters via succinct dialogue trees. Do you spare them, turn them, or kill them? Deadly outcomes from such decisions are not always obvious, but they certainly raise the stakes and can affect the health of each region. There are four main districts in the open-world structure of London and three of them can be fully explored for most of the game. Shortcuts can be unlocked to help navigate the somewhat circuitous areas, but retracing steps through the city’s main arteries will become commonplace. 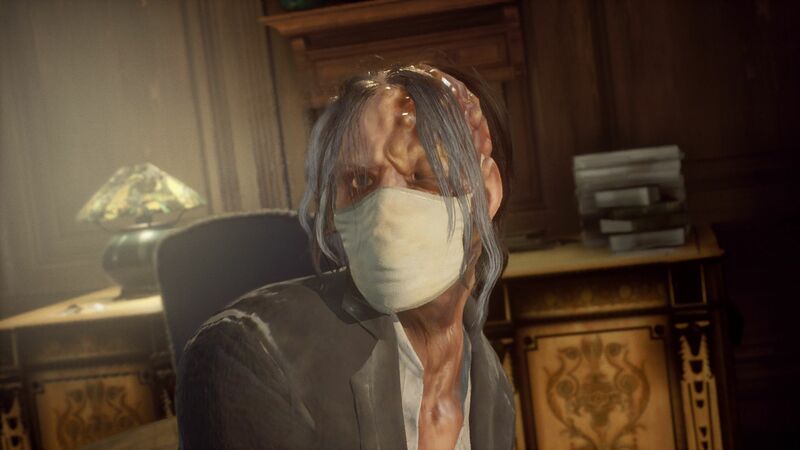 Enemies of a set level will respawn in the same places, after Dr Reid dies or evolves. Hideouts found throughout the city are used to level up skills (this evolving advances time to the next night) and craft upgrades, but they are sadly not fast travel points. Each borough is home to 16 different people that have their own problems, be it medical or otherwise. Most of them have tasks to complete for typical RPG rewards and there is hours of dialogue. Side quests available include retrieving a scarf from a dangerous part of town, finding gin bottles, and posting vampire warning posters. Dr Reid’s vampiric senses are used to follow blood trails and they also allow him to see enemies or quest givers through walls. Talking to the downtrodden, overhearing conversations, and finding notes will reveal hints about interlinked characters. Knowing more about a character makes their blood taste sweeter. Occasionally these hints reveal something morally reprehensible, like a wife poisoning her husband or a kid extorting an old woman. In a city full of death, what are a few more bodies on the pile? Feasting on a person will provide far more experience than doing their side quest and this XP can be spent on skills that make you deadlier in combat. Killing has appropriate consequences; homes are abandoned, related characters go missing and some return later as hunter mini-bosses. Many of the people in London get sick and they will deteriorate each day without medical care. Fortunately you can craft medicine that will rid them of fatigue, bronchitis, migraines, and more. If you are a caring vampire, making house calls is going to happen regularly enough that it's best to have remedies on hand. You can play the long game and find more about characters while keeping them healthy so their blood provides a large XP boost when you munch on their neck. Doing the rounds each day and healing people can take a while. Characters are typically grouped together, although some are harder to find. You might spend a long time dishing out medicine without any real action in between. Although optional, this Florence Nightingale loop gets tedious because of how many people there are and how often they need re-healing. It also discourages you from evolving (skipping the night) because the healthy get sick. Individuals cannot die from disease, but it costs more to heal them the longer they’re sick and they bring down the total health of each borough. You can leave the pesky humans to suffer and this saves you from getting real life fatigue. If the district's overall health gets low enough, all characters die. 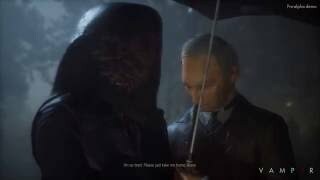 Side quests will no longer be available and the streets get overtaken by rabid vampires. So some healing is required if you want to keep feasting on the populace. This creates an interesting dilemma for the player: if they want to be stronger or engage in more combat, ruthlessness is encouraged but not in excess. In other words, the player's thirst for action runs in tandem with Dr Reid's thirst for blood. Even the most pacifist character will still have to fight at set points in the story. There is not much fisticuffs at the start of the game, but later on Dr Reid is thrust into more dangerous situations. You can avoid many combat encounters by running or using a shadow veil skill, but most players will likely engage in a decent amount of action. Main quests involve boss fights or enemy groups that cannot be avoided. Story bosses are distinctive in design with preset attack patterns. Some bosses might be surrounded by endlessly respawning fodder that provide a handy source of blood to turn the tide. Melee combat is simple but effective. Dr Reid is a brawler and this means dodging, biting, and managing limited stamina. Melee weapons have different uses: the cudgel has high damage but is slow, and the hacksaw is quick and absorbs blood. Ranged weapons are handy too, as the pistol can deal damage and stun foes. Stun enemies enough and you can take a quick nibble of their neck region, gaining health and refilling blood reserves. The act of biting provides a reprieve from danger, as you become temporarily invincible. Blood reserves can be used to self-heal, like a stim pack, or used to deploy blood abilities like ranged spear attacks or claw swipes. Enemies have resistances to each attack type, so swapping weapons and using the right skills makes combat easier. Using a simple combination works at first, but difficulty spikes—the world is occasionally repopulated with new and tougher foes—force morally good players to fight smarter; you may need to upgrade weapons or change attack technique. If you drink blood from a healthy victim every hour or so then you’ll stay ahead of the difficulty curve and will find the action easy. Saving everyone is a much tougher challenge and alters the ending slightly. While the action is good and brisk, it can be a little clunky at times. You can lock onto targets, but this makes it harder to hit circling trash mobs. Combat areas are small, so the camera can be an enemy. The AI are usually good enough to block attacks and work together, although there were some aggro issues. Different enemy types stood together as friends, only attacking each other when entering their attack range. Some vampire hunters stopped fighting altogether and walked off down the cobblestone street. If you drag enemies away from their initial spawn location, issues occur more often. The game looks nice on the base PlayStation 4, without too many technical problems. The setting of early 20th century London is exquisite. Street lamps pierce through the foggy ambiance and the dark corners are covered with plentiful gore. A gloomy cemetery and numerous ramshackle interiors provide variety. Voice work and lip syncing is good for the whole cast, even if a few too many voices were reused. Some clothing on characters became low resolution briefly, but character models generally look good. Framerate was high enough in action although it dipped in spots around the city. The game has forty second load times and shorter loads were observed when sprinting through the city or starting some conversations. Killer or Carer? Why not both? 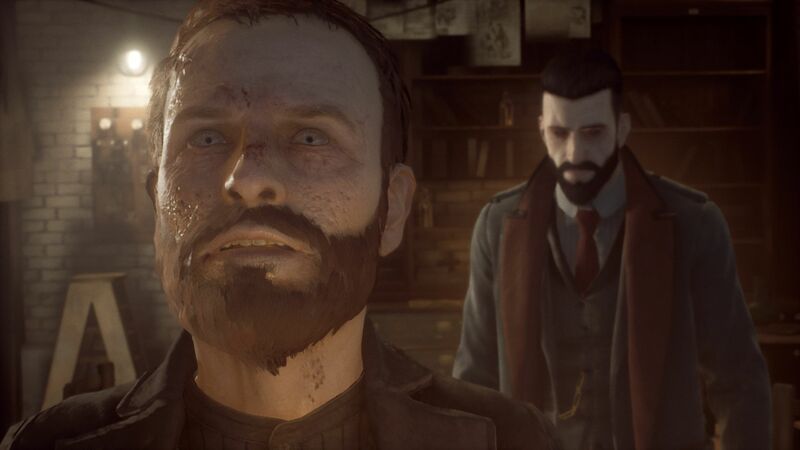 Vampyr is another feather in the cap for Dontnod Entertainment. It is much bigger than their previous games and this comes with many positives and a few negatives. The story is interesting as you uncover the quirks of being a new vampire in a time of pestilence and fear. Melee combat is a little clunky, although fun enough to last the entire game. Conversing with the sick across London opens quests and poses great moral dilemmas, but it can be tedious to keep everybody in good health. 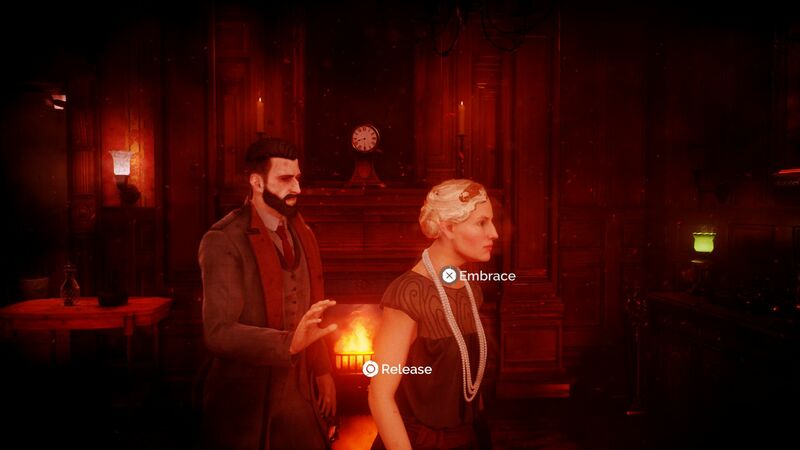 Whatever your moral disposition, Vampyr is a bloody good proposition. All the dark corners of London look great. Characters are good too, despite a few low resolution textures. Voice and lip syncing is solid. It’s all about healing the sick, sucking the blood from the morally corrupt and trying to keep London from collapsing on itself. Combat is a bit clunky but brisk and enjoyable. Keeping everybody in good health can get tedious. A dark tale of revenge with questionable allies and hidden diseases. Pacing is slow in the first half. There is a lot of good dialogue. About 25 hours long for the morally righteous and 15 for the ruthless. Load times are a bit long in some situations and there are even pauses when zipping around the city. Some framerate dips and bugs related to enemy behaviour. 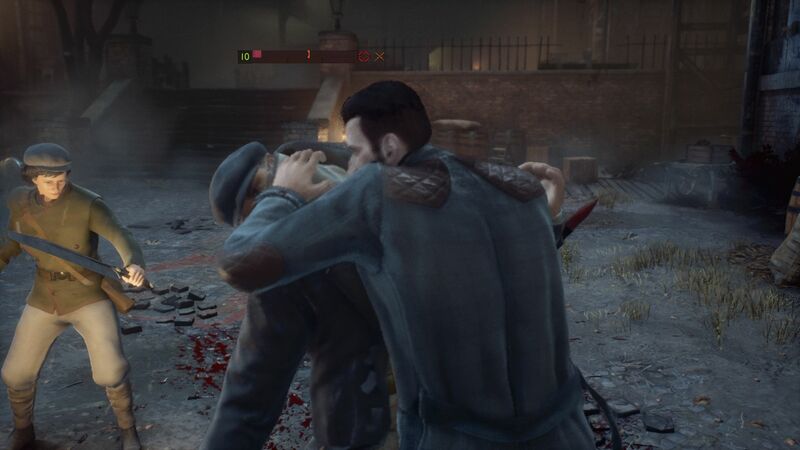 Vampyr is a smart action game that poses regular moral dilemmas as you decide to either heal or kill characters in a wonderfully dark city. With decent melee combat and an interesting story, there are not many vampire games that taste as sweet. 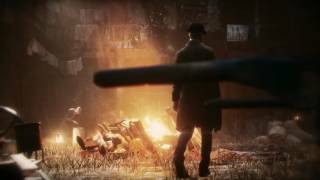 Vampyr is ranked #509 out of 1434 total reviewed games. It is ranked #27 out of 146 games reviewed in 2018.